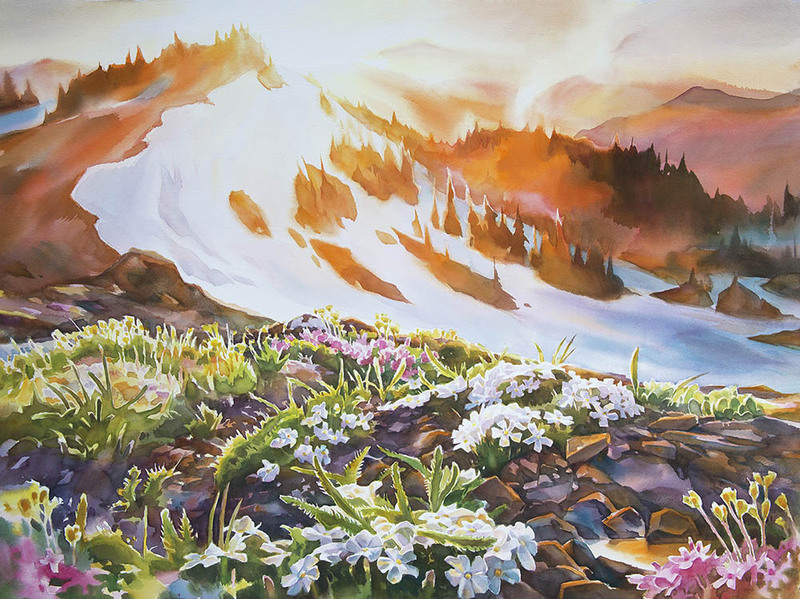 plein- air and studio watercolour (watercolor) landscape paintings by David McEown inspired by the temperate rainforest, and coastal mountain ecosystems of the Pacific Northwest coast. Painting subjects include near home among the Pacific Spirit Park, and travels to Vancouver island ,Olympic National Park plus following the sockeye salmon spawning. 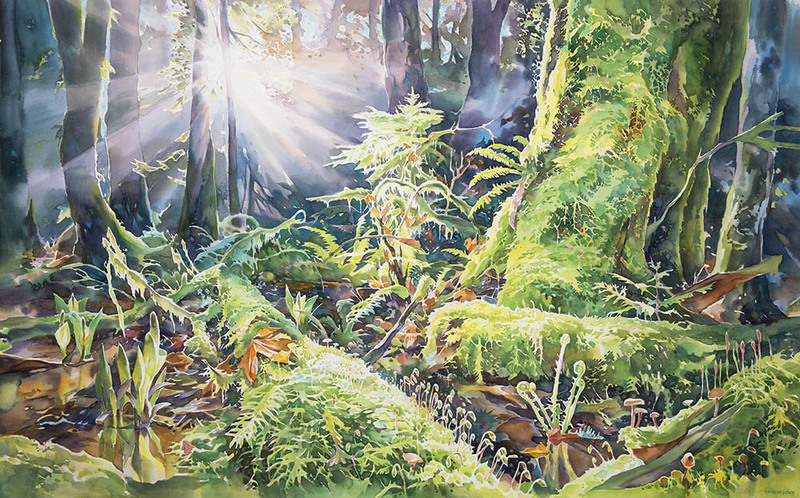 "Forest Primeval” Clayoquot River Valley (mural) 72 x 180 inches watercolour on paper.